Hello everyone, and welcome to the week! It’s time once again for our look back at the noteworthy updates of the last seven days. Some really huge updates last week, with many big titles and plenty of unexpected ones. Of course, you can keep an eye out for updates yourself using AppShopper Social (Free), the watchlist in the TouchArcade App (Free), or by participating in the TouchArcade forums, but this weekly summary is here to fill in the things you might have missed. Let’s dig in! Siralim (RPG / Roguelike), Free Let’s kick things off with an update we’ve already talked about plenty. Siralim gets a lot of updates, but the 2.0 update is a special one. It significantly improves the game’s graphics, adds more than 100 new monsters, adds a new skill system, and changes a bunch of other things around. It’s a great update to a great game. 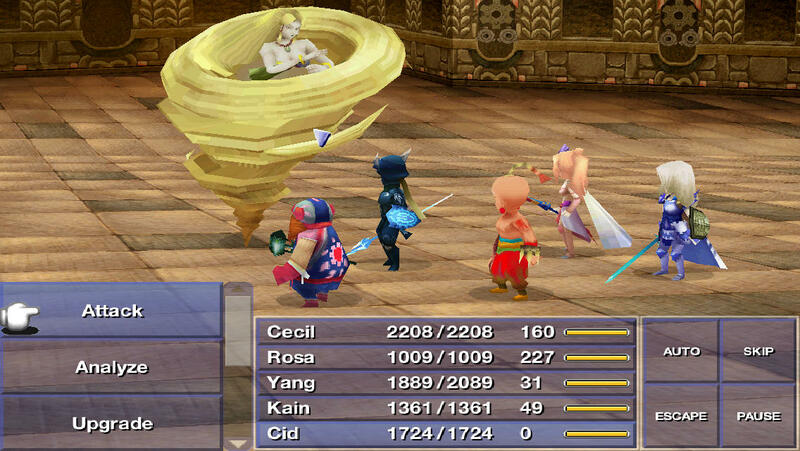 FINAL FANTASY IV, $14.99 Praise the heavens, iCloud saving has come to Final Fantasy 4 at last. I strongly feel that just about every game could do with some sort of cloud saving option, but RPGs really benefit strongly from being able to move from the more house-bound iPad to the more portable iPhone and back again. They haven’t made a lot of noise about it, but Square Enix has done a good job of getting most of their big apps up to speed. Most of them. CSR Classics, Free Hey, it’s Ferrari again! CSR Classics adds the 250 GT California, the 250 GT Berlinetta, the Dino 246 GT, and the 250 GTO to its roster. The game is now optimized to run at 60 FPS on iPhone 6 family devices, and there are apparently more ways to earn free gold. This update also includes some minor UI improvements and the usual nebulous bug fixes. The Simsâ„¢ FreePlay, Free Maybe you’ve been interested in The Sims FreePlay, but passed on it because who cares about an irreverent life simulator that doesn’t let you become royalty? You are going to be so happy, my friend. The latest update adds a castle and by performing certain tasks, you can become the king or queen. That’s totally how that works in real life! Maybe you’re not feeling the royal lifestyle, though. Well, you can also be a jester, and if you name your character Chuckles, that’s more Ultima in an EA game than we’ve seen in ages! Pyramid Solitaire Saga, Free The latest episode of my favorite near-weekly drama is here! Let’s see how the story has progressed. Okay, 20 new levels, that’s great. Ah, here we go. Oh wow, Helena and Kingsley just sort of walked past the Terracotta Army and are now possibly approaching the Mausoleum of the First Qin Emperor. Except there’s some kind of markings on a statue similar to the ones seen on the squid they bravely faced off against. What manner of treachery are you playing at, King?! Farm Heroes Saga, Free The latest update brings 15 new levels to Farm Heroes Saga, along with a new hazard, the River. You can also collect a vini bird, a manatee, and a humpback whale for your really bizarre farm. The big news here is that King made a reference to Big Willie Style in the patch notes. It’s odd to see flashes of the human behind the keyboard. Gangstar Vegas, Free You know who is pretty awesome in real life? Firefighters. If you want to pretend to be a firefighter in a game about being a thug in Vegas, has Gangstar got your back this time. This update brings a new firefighter costume, complete with a fire axe and a fire truck to complete the ensemble. There’s also a new exoskeleton costume, if that’s the sort of thing you think is cool. Finally, there’s one more new vehicle, the China Lucky Star. Talisman, $3.99 My friends and I used to play Talisman in the science room during lunch hour in Junior High School. There, now nobody reading this needs to feel embarrassed about anything ever again. Anyway, this update has two free characters, the popular Ninja and Pirate. 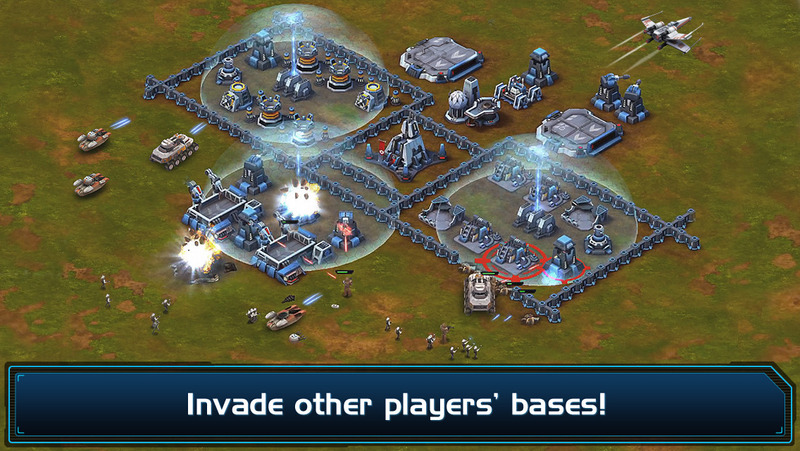 It also has cross-platform multiplayer, which should help you find more people to play with. There’s also some new paid content in the form of the Shapeshifter character and the new Highland expansion. Looney Tunes Dash!, Free The latest version of Looney Tunes Dash! adds a new episode centered around Transylvania featuring Count Bloodcount and the witch Hazel. Does anyone else miss the Tiny Toons? I wonder if it would be possible to get Plucky and Babs into this game at some point? It’s pretty weird the way they vanished off the face of the Earth. Smurfs' Village, Free Arguably the grand-papa of the licensed city-building genre that helps keep many a malnourished executive fed, Smurfs’ Village is still going strong. This update is sort of an Easter update, with a bunny outfit for Smurfette, a painting table that allows you to make your own personal Easter eggs, and colors reflecting the changing season. There’s also a new hut for Grouchy Smurf, something which I’m sure Grouchy thinks is just pure bull. Dark Echo, $1.99 Dark Echo is a fantastic, scary, yet simplistic take on horror. If you haven’t tried it yet, you really should give it a go. The new version improves certain levels, adds MFi controller support, and enables iCloud saving. I will never get tired of banging the drum for iCloud support, so bravo to the developers for getting that in there. Kingdom Rush Frontiers, $1.99 Always a pleasure to see new content for a Kingdom Rush game. In this update, a new threat is looming. The Alien Queen and her spawn are attacking, and you’ll need to use all of your wits and resources to defeat them. A new hero joins in the form of Saitam the Mighty Monkey God. Of course, there are also some new achievements connected to all of this, so get at it. RAGE HD, $1.99 Like the game’s title, the notes on this update are short and sweet. Rage HD was having some issues with certain newer devices and iOS versions, and this update fixes that right up. I wish we would see more games from id Software on mobile, but I’m happy they’re at least taking care of the ones that are on there already. 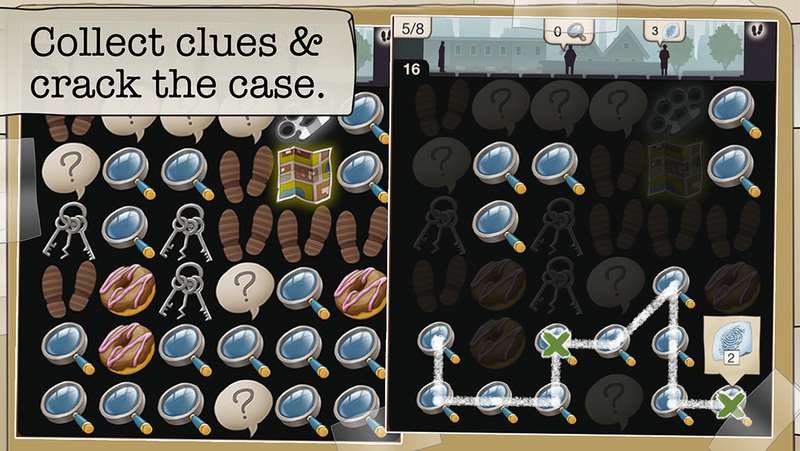 Another Case Solved, Free The latest update to Chillingo’s quirky puzzle game Another Case Solved adds a few bonus cases to the game. More content is never a bad thing, but you’ll have to dig around a bit to uncover all three of the new levels. Well, that’s kind of befitting the theme of the game, isn’t it? This new version also supports German for all our friends in and around Deutschland. Modern Combat 5, Free This is kind of the controversial update of the week, but I think most people have made peace with it already. Modern Combat 5 makes the big move to free-to-play, compensating paying players with a special Veteran badge that shields them from most of the uncomfortable changes that shift brings. In happier news, there’s a new class, new weapons, a new multi-player mode, MFi controller support, and added character customization options. As long as you aren’t too upset about the move from paid, this is actually a pretty awesome update. Magic 2015, Free It’s a kind of magic. The card game kind, to be exact. The new update brings the Riddles of Steel Card Pack, which includes three new sets of 10 cards each for a total of 30 cards. White and blue players will benefit the most from this pack, but the Doomsday Machine set that bolsters artifacts should be of interest to just about everyone. What this update doesn’t include is fixes for the random crashes some players seem to suffer. Oh well, I’m sure we’ll be on to Magic 2016 before too long anyway. Plunder Pirates, Free Chinese New Year is over, so this update is here to clean up after the party. Don’t get down, though, because this update also adds the Guild Ship, allowing your Guild buddies to send you troops to boost your crew numbers. It’s just one of the new options and improvements to the guild system in the game. Of course, there are also the expected bug fixes and tweaks, mysterious though they may be. Cardinal Quest 2, Free I love Cardinal Quest 2 so much, friends. I still can’t believe the game is free. If you like roguelikes, you need to get on this game immediately. Its latest update adds a new hero to the options, the alchemist. You’ll have to unlock him first by collecting vials in the various dungeons, but once you have him, you’ll be able to break down consumables into their basic components and remix them into something even better. This is where I might make a Pharrell Williams/Marvin Gaye joke if I were more culturally aware, but I’m not, so you take what you get. There’s also a new endless tower to challenge expert players. Cards and Castles, Free Cards And Castles, arguably one of the finer alliterative combinations. Certainly beats chalk and cheese, I’ll tell you that much. The game has a huge new expansion called Tournament of Champions, which has nothing to do with Alex Trebek. Instead, there are 50 new cards that introduce a bunch of new gameplay features. There’s also a new mini-campaign that leads up to the aforementioned tournament, along with bug fixes and UI improvements. 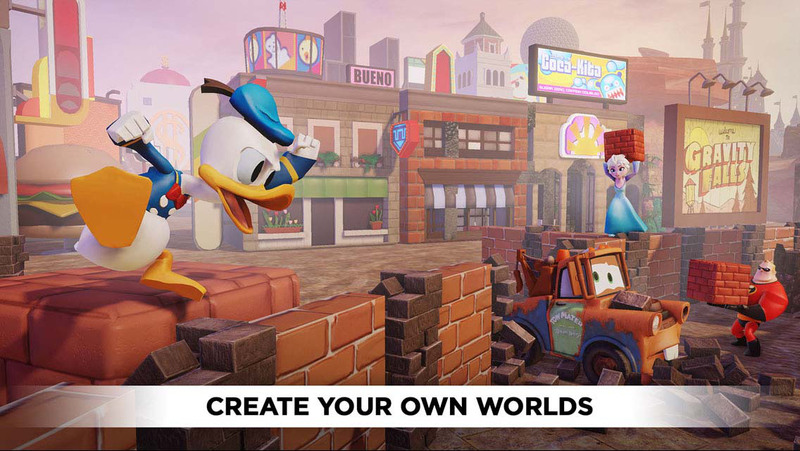 Disney Infinity: Toy Box 2.0, Free Disney’s latest entry into the whole physical object DLC craze got an update last week that improves controls and fixes bugs. Players using the Green Goblin will be happy to know that the Goblin Glider is now in the game. Extended MFi controllers are now supported, as well. Apparently Falcon and Loki are on deck to be added to the game soon. Auro: A Monster-Bumping Adventure, $1.99 Dinofarm Games does not fool around with their updates. Auro‘s got a ton of changes, but the highlights include rearranging the tutorial missions to make them less overwhelming to new players, a new HUD, and a freaking suplex move that you can do in Abomination form. You can suplex monsters to their icy doom! Lots of other stuff, too, but you’ll have to check out Dinofarm’s site for more details. Puzzle Quest 2, $2.99 Puzzle Quest is a great game and arguably had a serious influence on mobile RPGs as we know them today. For whatever reason, the original game is no longer available on the App Store, but fans could always make do with Puzzle Quest 2. That is, until it broke under iOS 8. Well, it’s all fixed up now, and properly supports the iPhone 6 family. The cherry on top? Multiplayer fixes that were long overdue. Battle Riders, $1.99 Battle Riders is a really fun action-oriented racing game. 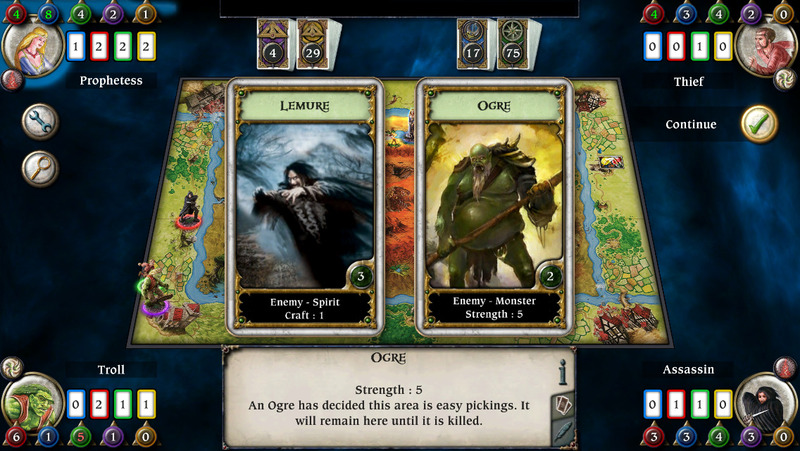 The game received an update a couple of weeks back that improved the graphics and sound effects amid other tweaks and fixes. Unfortunately, that update made things go a little ca-ca on iOS 8, so the game was briefly pulled from the App Store. Well, it’s back, it’s fixed, and it’s even optimized for the iPhone 6 family. All’s well that ends well. METAL SLUG DEFENSE, Free Metal Slug Defense could be here almost every week if I let it. The latest update commemorates the game’s 20 millionth download with a special limited unit for every player. That’s not very limited at all, then, is it? Also making the scene is the popular character Athena Asamiya of King of Fighters fame. Throw in some new units, areas, and missions, and that’s the latest update. Candy Crush Saga, Free Candy Crush Saga keeps on rolling with a new episode containing 15 new levels. A lot of people wonder how this game stays so high in the charts all the time. It’s because the updates never end, so people who love it never end up putting it down. There are now 875 regular levels in the game, and hundreds more in the Dreamworld side. Pretty crazy stuff. Star Warsâ„¢: Commander, Free Bug fixes and balance tweaks are the order of the day in Star Wars Commander‘s latest update, along with a new building and new units to accompany it. You can now build the Cantina, giving you access to Twi’lek Incinerators and Gamorrean Guards. Weren’t those characters in Jabba’s Palace as opposed to the Cantina? Normally I wouldn’t complain, but I’m really pulling for weird Hallowe’en vampire guy and Figrin D’an to be added to the game. Pet Rescue Saga, Free Oh, hello Pet Rescue Saga. I see you have a new update. 15 new levels, you say? The setting is a labyrinth, and there’s a problematic bull in there? Okay, I’ll be right over. No, you don’t have to turn on the coffee yet. It’s probably better to wait until I get there in case I get, you know, delayed or something. Alright, see you soon. Family Guy The Quest for Stuff, Free You know what’s weird? I think Family Guy: The Quest For Stuff is the best Star Trek-licensed game on the App Store right now. Well, this update brings the crew of Star Trek: The Next Generation to Quahog, and with them comes none other than the Enterprise-D itself. There are new mini-games to play, new versions of Family Guy characters to collect, and some exquisitely-groomed facial hair to, er, groom. NBA JAM by EA SPORTSâ„¢ for iPad, $4.99 Is there a sound effect I can write for spitting out my drink in shock? I really need it right now! So, it’s been something like four years since the last update to NBA Jam, and the years have not been kind to it. Many had written it off, including myself. All of sudden, here’s an update to the iPad version, which means the iPhone one is probably not far off. This update includes some roster updates, bug fixes and compatibility updates, and who knows what else because the patch notes are wildly vague. Jam is back! Lionheart Tactics, Free Lionheart Tactics welcomes a new unit to the fold. The Scout focuses on mobility, and is just the thing to take care of any pesky archers that might be bothering you. There are also a couple of UI improvements, balance tweaks, bug fixes, and a new auto-play button to let the AI take over during PVP battles. Hearthstone, Free In this exciting update, there are two new card backs, Ragnaros and Molten Core. The first is acquired by reaching rank 20 or higher during March, while the latter can be obtained by pre-ordering Blackrock Mountain, the upcoming expansion to Hearthstone. That expansion will be coming next month, so you might as well get it now to snag your freebie. 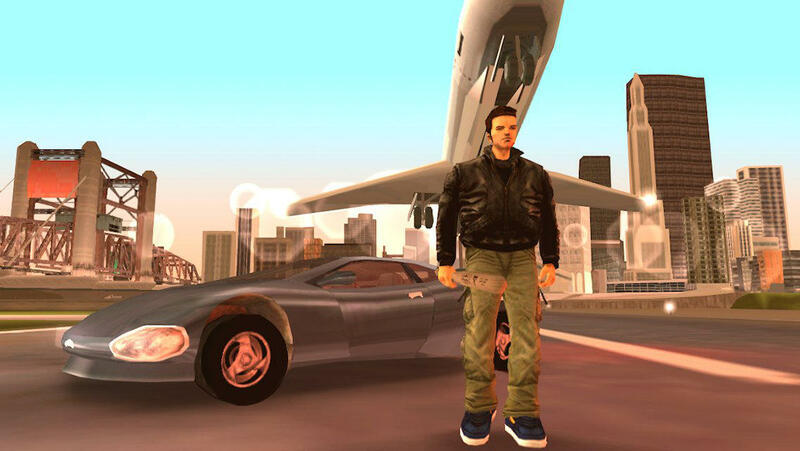 Grand Theft Auto III, $4.99 If you’ve been feeling the urge to re-play the Grand Theft Auto games recently, you’ll be happy with the updates that hit last week. Grand Theft Auto 3 now supports native resolution on the iPhone 6 family and is fully compatible with MFi controllers, to boot. The developers also squashed some bugs while they were at it, because why not?. Tap Titans, Free Tap Titans has three new heroes, including a jackalope, a pixie, and a dark lord. There are also some changes to the way you refresh your active skills, and a bunch of bug fixes for issues that had been reported by players. Tap tap tap tap tap tap tap tap. True Skate, $1.99 If you’ve been thinking of a vacation to Florida, but just can’t make the ends meet, you can take a trip to the Sunshine State in True Skate instead. The latest addition to the game is the pro course from the famous Skatepark of Tampa. Dedicated video skateboarding fans might remember this course from Tony Hawk’s Underground. It’s just as great here! Grand Theft Auto: Vice City, $4.99 It’s a Grand Theft Auto double pack! Like its predecessor, Grand Theft Auto Vice City now supports the iPhone 6 family at native resolution. For those who like to game with their controllers, this one supports all MFi controllers now, too. One caveat: there have been reports of iPod 5th Gen owners getting a bug that makes the virtual buttons display incorrectly. If that’s what you’ve got, you might want to wait for the next update. Kritika: The White Knights, Free Kritika: The White Knights is a pretty fun social action-RPG with some really nice graphics. The latest update adds a new character, The Demon Blade, a samurai-looking fellow whose blade’s sharpness is rivaled only by that of the spikes in his hair. Create your own worlds and games starring over 60 of your favorite characters from Marvel and Disney. Next PostNext ‘Future Factory’ Preview – A Dual-Stick Roguelike Shooter, for Mobile?